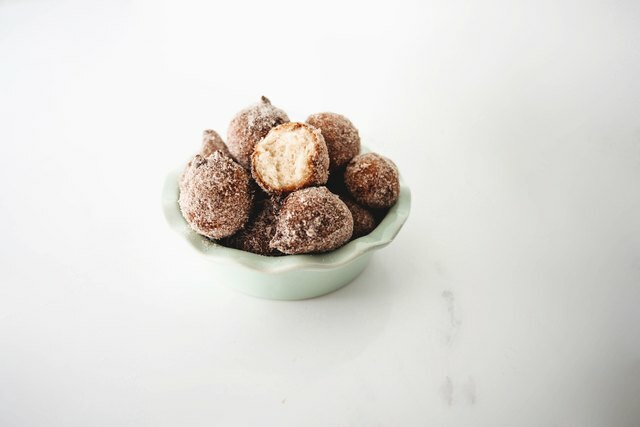 Did you know that you can easily make homemade donut holes from a pancake mix? Breakfast time just got easier! These tasty treats are light, moist and rich -- and are so simple to make. Covered in a sweet cinnamon sugar, they truly taste just like the real thing. Measure and prepare all the ingredients that you will need. 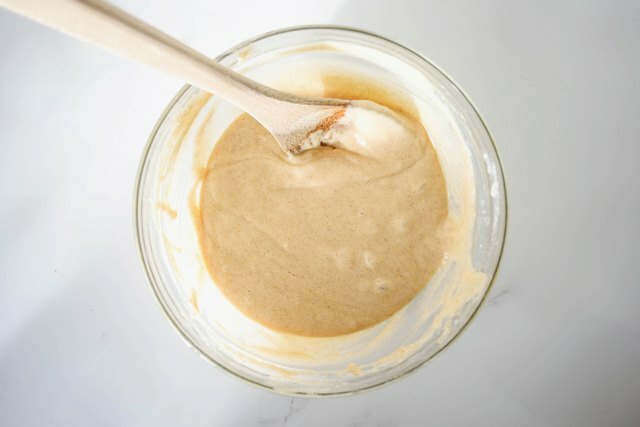 Pour the pancake mix into a large bowl. Mix in 1/4 cup of the granulated sugar and 1 teaspoon of the ground cinnamon. Pour in the milk, followed by the egg and vanilla extract. 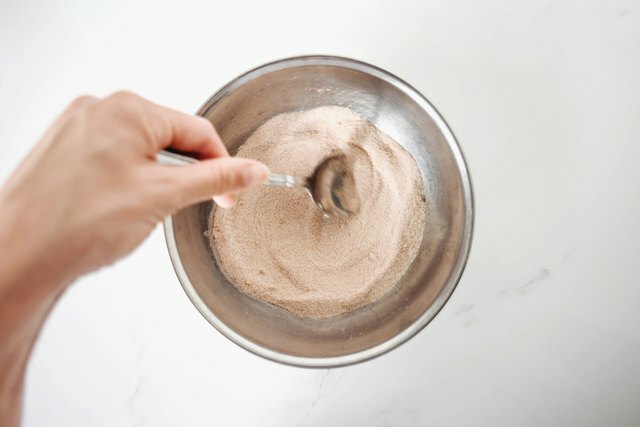 Stir until the batter is smooth and lump-free, and then set the bowl aside. 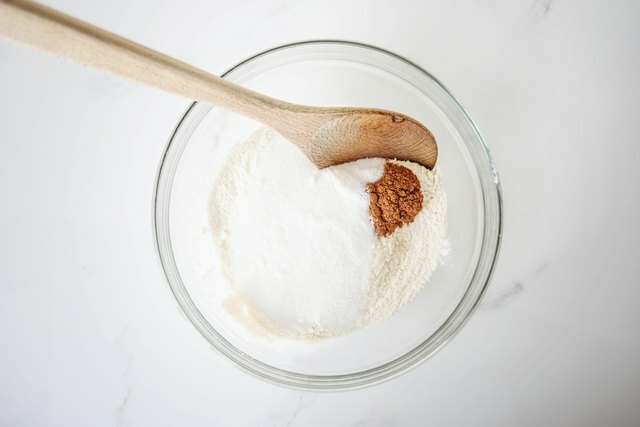 In a small bowl, combine 1/2 cup of the granulated sugar with the remaining 2 teaspoons of ground cinnamon. Set the bowl aside. Place the vegetable oil in a heavy bottom saucepan or deep-fryer. Heat the oil until it reaches 180 Celsius / 375 Fahrenheit. Make sure to keep a close eye on the oil as it heats. The oil will heat slowly at first but will excel rapidly as it comes to temperature. Using a tablespoon sized scoop as a measure, drop balls of the dough into the hot oil, frying no more than five donuts at a time. Fry for 2 minutes or until evenly golden brown in color. Then using a slotted spoon, remove the donut holes from the hot oil and place them on a large plate lined with paper towels to remove any excess oil. 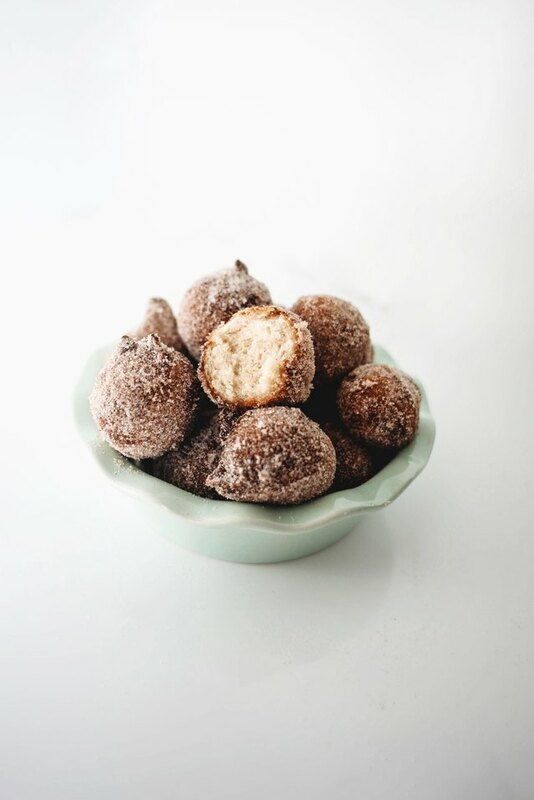 Whilst the donut holes are still warm, roll them in the cinnamon sugar and generously coat them. Time to eat! 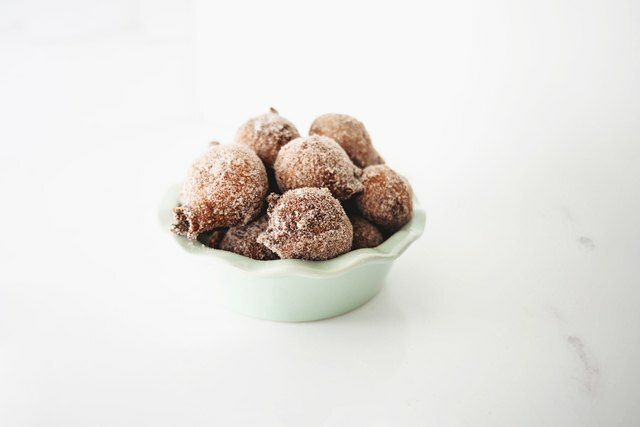 These donut holes are best served warm and straight after frying but they can keep in an airtight container at room temperature for up to two days.